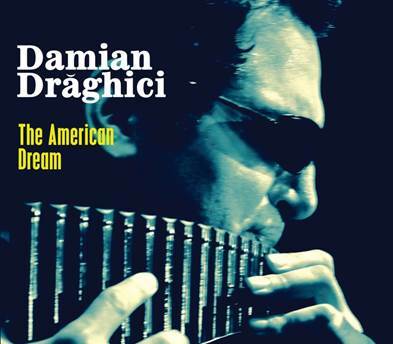 A year before he escaped communism in his native Romania by walking through the mountains of Yugoslavia and into Greece, the seed of Damian Draghici’s dream was planted when he was just a 17-year-old teenager who snuck into a Bucharest nightclub to watch a set by an American jazz combo. Nearly 30 years later, his vision will finally come to fruition on July 8 when Century Jazz Records issues “The American Dream,” a 13-song disc of standards produced by Dan Siegel and Tom McCauley that showcases the pan flutist collaborating with nearly two dozen jazz, Brazilian and Latin music greats, Grammy winners, icons and top-shelf musicians. Preceding the album at jazz radio is the sultry bossa nova “Ceora,” an exquisite duet with trumpeter Chris Botti.